Replacing your electrical panel is a complex job. It can make a real mess, necessitate repairs and replacements all around your home (not just your panel) and cost quite a sum too. Like we said, it’s a big job, but it’s a necessary one, especially if your house is more than forty or fifty years old. That’s the point of today’s post: below, we explain the typical cost to upgrade electrical panel and the wiring in your home, as well as all the reasons why you might need to. Take a look if you’d like to know more! First off, why should you upgrade, especially if the cost to upgrade electrical panel makes it such a big job? There are a few very good reasons. If the electrical panel in your home is decades old, then there is a good chance that it will be more susceptible to faults. Faulty wiring is a major cause of house fires in the United States, and you can’t put a price on the safety of you and your family. If you didn’t know, most houses these days use circuit breakers rather than fuses. That’s because fuses are one-time use. Once a fuse blows, it can’t be used again, whereas you can simply reset a circuit breaker. Older electrical panels use fuses, which may be a reason why you’d like to replace it. Electrical panels are designed to provide a certain amount of power, up to a maximum. That maximum is typically between 100 and 400 amps. Put simply, that’s the amount of energy that it can distribute at any one time. Any more and there won’t be enough to go around. You can upgrade your panel any time you want to. But while that may be true, it’s best to do it before you have to. There are a number of signs that you should pay attention to which will warn you that your electrical panel is out of date, the most obvious of which is that your appliances don’t work. If you plug in electronics and appliances like your TV, chargers for various devices, kitchen goods and so on, but they simply won’t work at the same time, that means that you’re overloading your electrical panel. Similarly, if your lights are flickering then that means the same thing. There simply isn’t enough electricity to go around, and you’ll need an electrical panel that provides more. You should also think about upgrading if you’re about to add an extension to your home. If you’re about to add another room to your property, or even if you’re just upgrading your kitchen, you should consider whether your electrical panel will be able to handle the extra workload. 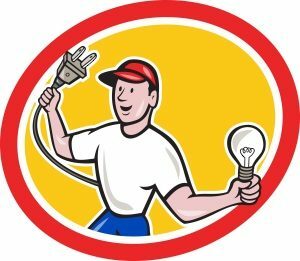 So, let’s get down to business: how much does it cost to upgrade electrical panel? First things first, it depends on how old your wiring is. If you’re simply adding a new panel in a home that was only built ten years ago, you won’t have to replace your wiring. If that’s the case, you won’t have to replace wiring throughout your home, which is costly and time consuming. In that case, then, you’re looking at the cost of parts and labor for a smaller job. The typical 200 amp panel costs between $100-$200, and the job itself normally takes between 8 to 10 hours. Naturally, this depends on the location of your panel and how easy it is to access and work in the space around it. Working in a cramped space can make the process take longer! There may also be other repairs which are necessary for your safety which will extend the cost of parts and labor. Overall, the average cost comes to $1500-$2000, including parts, labor and permit fees. Say for the sake of argument that your house is fifty years old, and the wiring hasn’t been changed since the house was built. If that’s the case, you can’t simply change your electrical panel and call the job done. As we mentioned above, the older your wiring gets, the more of a fire hazard it becomes. Not only that, but your outlets, fixtures and circuits may also be damaged. If so, we would 100% recommend that you have these replaced too. Of course, this does mean that the job becomes more complex, time consuming and costly. But if you leave faulty wiring in place for long enough, the risk of fire only gets higher. It’s impossible to give a ballpark figure because the cost depends on the size of your home, the number of floors in your home, how easy to access your crawlspace is and the age of your home as well. If you need an estimate for a job like this, we recommend that you ask us for a free estimate. We can visit your home, talk with you about what you need and recommend what we think is best. Your next step should be either calling us at (719) 492-6955 or message us through our contact form here. We can arrange a service visit at a time that works for you, so that we can take a look at your problem. Once we’ve had a chance to look around, we can suggest what we think are your best options- the ultimate decision is up to you. We also offer an estimate for our work, so that you’ll never be left out of pocket.